David Luiz – Here to change opinions and to win the Premier League. David Luiz has been speaking to the Chelsea Magazine this week and has revealed the reason why he decided to return to Chelsea. Could this second spell under Antonio Conte finally change opinions of our much-maligned Defender? 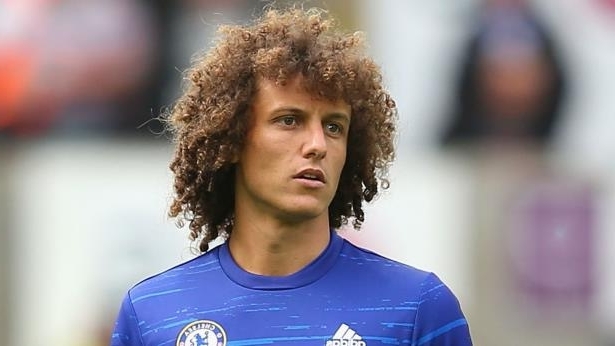 If we are honest, it was a total shock that David Luiz decided to leave Paris Saint Germain first and foremost but to come back to Chelsea was an even bigger surprise having left three seasons ago. In the days that followed I lost count how many times people told me it was a mistake and Chelsea were mad to bring him back. 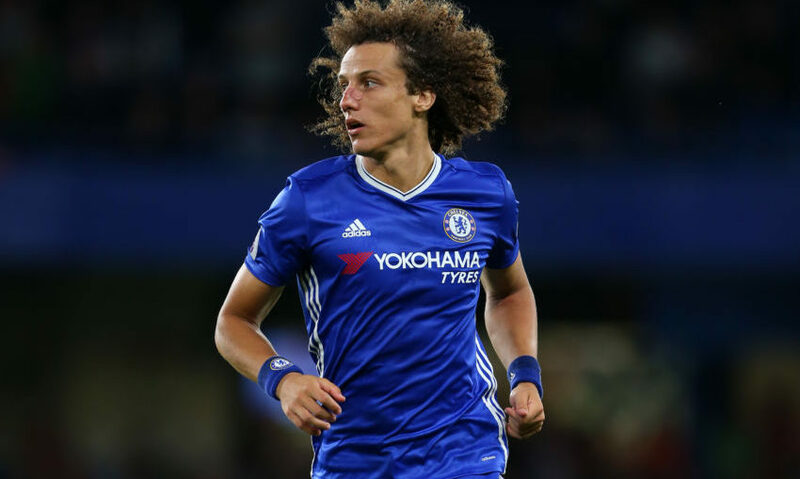 In addition to being told that he isn’t the signing Antonio Conte wanted to make and the fact that many believe that he isn’t solid enough at the back, you could pretty much gauge the general consensus of opinion from non-Chelsea fans up and down the country, David Luiz is not good enough! 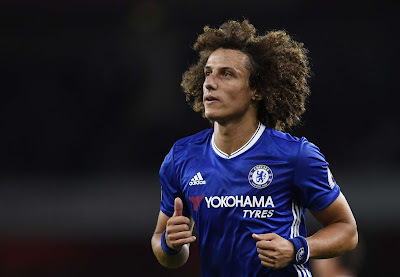 I personally believe that there is more to the move than meets the eye here and David Luiz could become an integral part of a defensive unit that is being put together by Antonio Conte for years to come by playing in the middle of a back three as a sweeper. Think of Chelsea under Mourinho and the solid foundations we had in place right through the core of our team. Antonio Conte having watched Chelsea from a distance last season would have realised that there was plenty of work to be done to tighten up at the back and to stop conceding goals. Without doubt he would have made a decision to work with the players in a formation they were used to (4-2-3-1) and would slowly adapt the shape of the side as he gets to know every single member of his squad and their capabilities. Many believe that Conte always intended to make the switch to three at the back through the course of a complete Premier League season, but after two nightmare defensive performances against Liverpool and Arsenal, he was forced into altering those plans and moving them forward but despite playing the second half against Arsenal with three at the back and David Luiz out on the left hand side of centre, Luiz has adopted the central position in both games against Hull and Leicester and has played well. It’s a position that suits his game perfectly. In my opinion David Luiz has all the attributes to play as a sweeper in the middle of three defenders and could turn the position into his own. He can read the game being played out in front of him, he can see where a pass is going to made forward and step in front of his opponent to win the ball back, under Antonio Conte he can work on his positional play to ensure he is in the right areas covering whoever plays on either side of him and finally, his distribution of the ball and ability to pick a pass is outstanding. “At 29, he is at a fantastic age to become one of the best defenders in the world. You can always improve and I’m seeing great commitment from him. He wants to play for Chelsea. This is a great opportunity for him also to improve. I repeat: he has good characteristics to become a fantastic defender. It’s important to remember when I started at Juventus, with Chiellini, Bonucci and Barzagli, the defence had been conceding a lot of goals. I remember that, before my arrival, many people told me: ‘They are no good, these defenders. No good.’ But then I started to work with them, I found a great commitment and attitude. Through the work, now we are talking about three of the best defenders in the world in Chiellini, Bonucci and Barzagli. But remember, when we started in that first year at Juventus, it wasn’t like that.” - Source: The Guardian. Conte makes an important point about the beginning at Juventus and it’s comparable to Chelsea’s issues throughout last season into this year. I am certain that he can convert David Luiz into a player of the same standard. The more I think about it, the more I believe it’s the case. 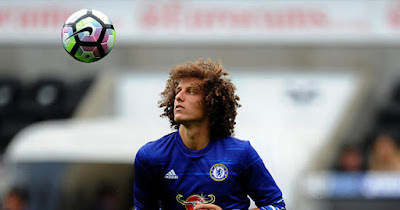 Antonio Conte took up the option to sign David Luiz; even if it was at the last minute, because he saw the opportunity to change to include him in the middle of three centre backs and, the ability he has with the ball at his feet also. “I missed Chelsea a lot. I was very happy here before. I was also very happy in Paris. I was winning trophies, I was having a great life there, but I know me and I like to have new challenges in my life, to have ambition and one of the reasons I decided to come back here is because I know the Premier League well, but I never had the opportunity to win it, so it is still one of my goals in my career. I try to learn every day, try to improve every day. I hope I have many years to continue in this way. This is my personality. I don’t ever want to say, “Now I know everything.” I think you can learn from everybody, old people and young people, if you are available and you are open and you have humility.” - Source ChelseaFC.com. David Luiz as we know forced his way back to Chelsea because he wanted to come back to the club he feels passionate about and to be part of Antonio Conte’s project here now. Plenty of people have written him off, labeled him as a mistake, a panic buy but, under Antonio Conte, David Luiz is here to change opinions and to win the Premier League!